I have been one busy bee since I started my new job on Monday! I’ll tell you I’m really enjoying it and that there is NEVER a dull moment. The day zips by and I’m really doing good work. Last night to celebrate the new job I went out with two of my college buddies from a certain college in Troy, not up a hill. We went to the Charles F. Lucas Confectionary and Wine Bar (here). Great wine/beer, cheese, and of course friends. We had a great gab session and really enjoyed our time there. Sadly the new patio was closed because apparently it is never going to stop raining here in Upstate NY ever! Today was more work, and the same tomorrow. Bring it on! But then I get two days off for the 4th of July! Now that is what I call an awesome first work week. I plan to enjoy every minute of those sweet, sweet four days! 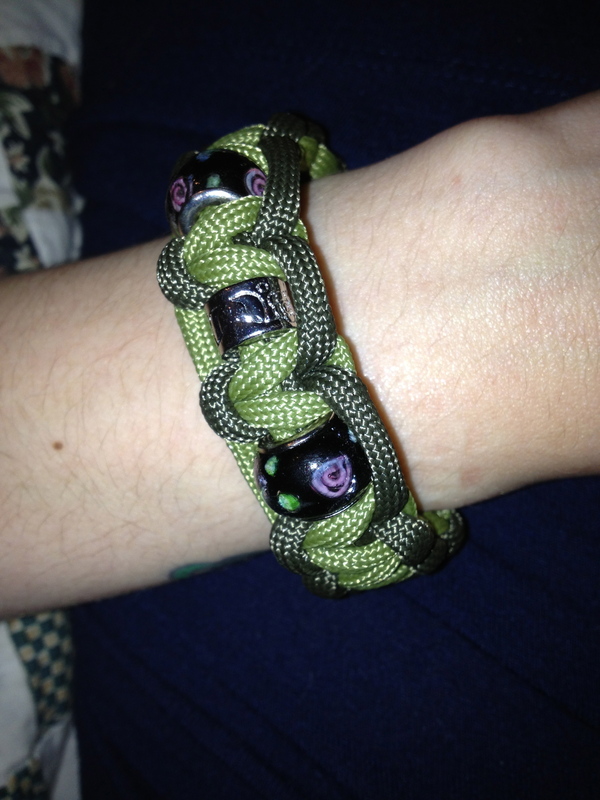 I’m also tossing around the idea of starting up a Facebook Page and Twitter account for the Hubbins Etsy shop. He does some beautiful work. In fact he made this for me the other night! How cool is that? I mean really? Wouldn’t you buy one? Wouldn’t you like to know when new merch is added to the shop? So chime in and let me know if you think the Hubbins needs a Facebook Page and Twitter account! I think he does, but what do I know? I’m going to go buzz off and see if I need to clear up from the tasty eats I made for dinner…Iand yes I’ll post the recipe. Which probably won’t help as this is one of those meals where I measure things like the Italian I am. As to the cleaning I hope I’m not on clean-up duty seeing as I cooked it…but you never know around here… buzzzz!